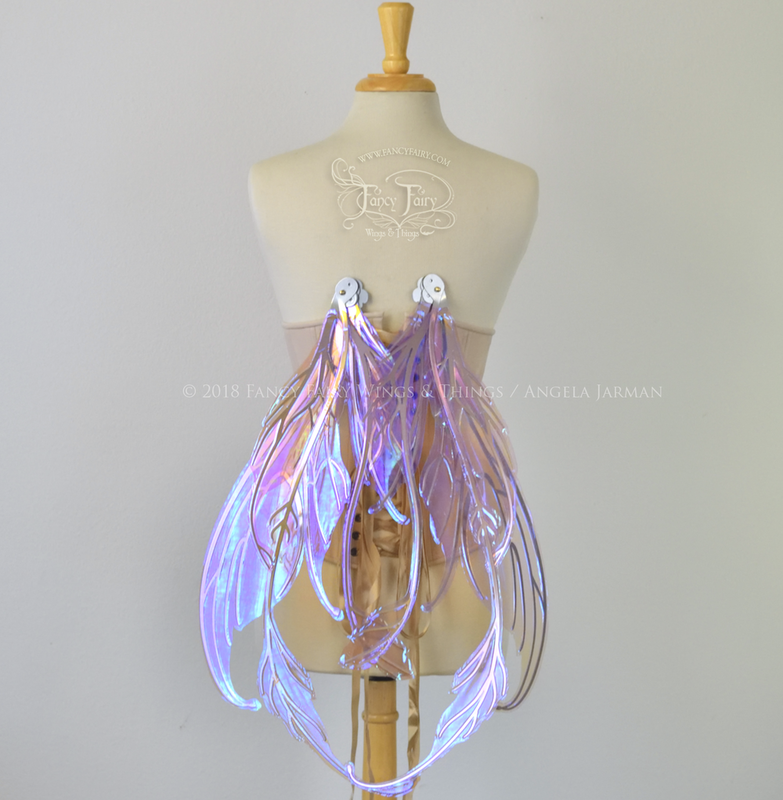 First we have another set of the new convertible fairy wings that will be listed tomorrow evening at 8pm PST, the Fauna style in iridescent Lilac with silver chrome veins. 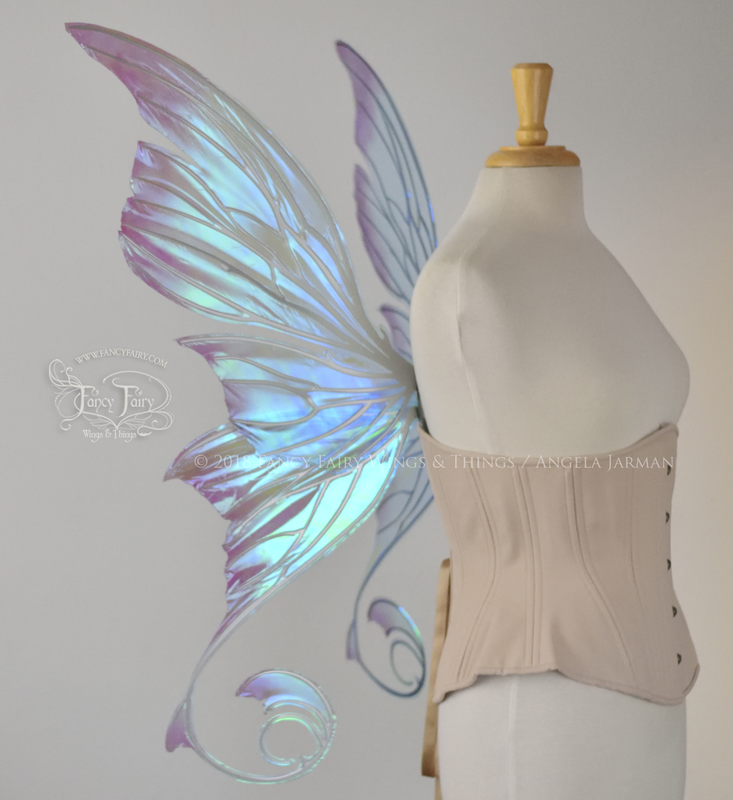 Next is the last wing set in this sale, the older standard brace style, Aphrodite painted in an Ocean theme - mottled plum color fading on the edges over the iridescent Aquamarine film base with silver chrome veining. That’s it! Be ready at 8pm PST tomorrow, Sunday Sept. 30. 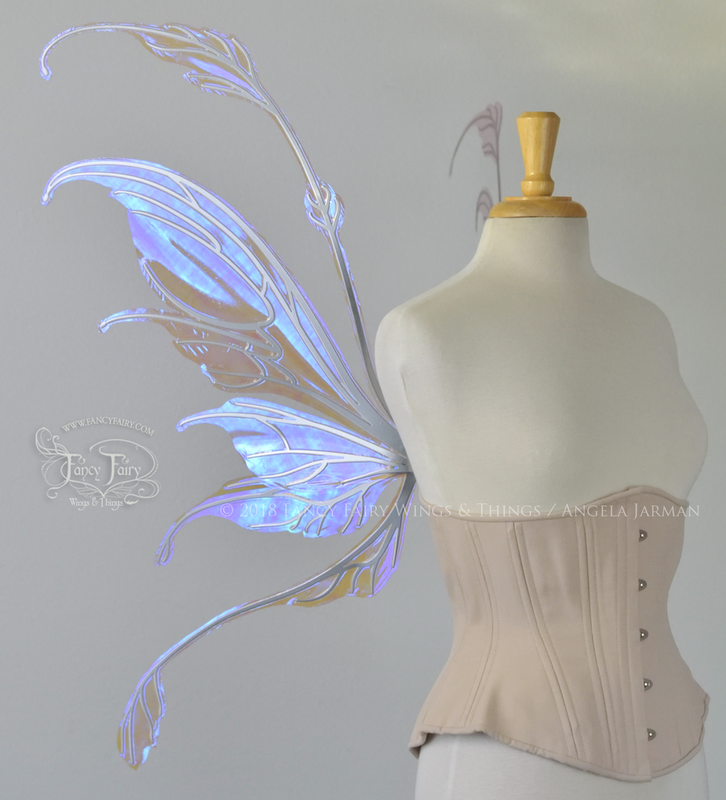 The Shopify store link is HERE, remember to bookmark it, and it may help to register as a Fancy Fairy customer in the Shopify store to expedite your checkout so you don’t lose your wings to someone else.